With 15 years of personal training experience (certified through Can Fit Pro) and 35 years experience in a gym environment, Dale continues to motivate, support, and educate clients on their journey to a better lifestyle. 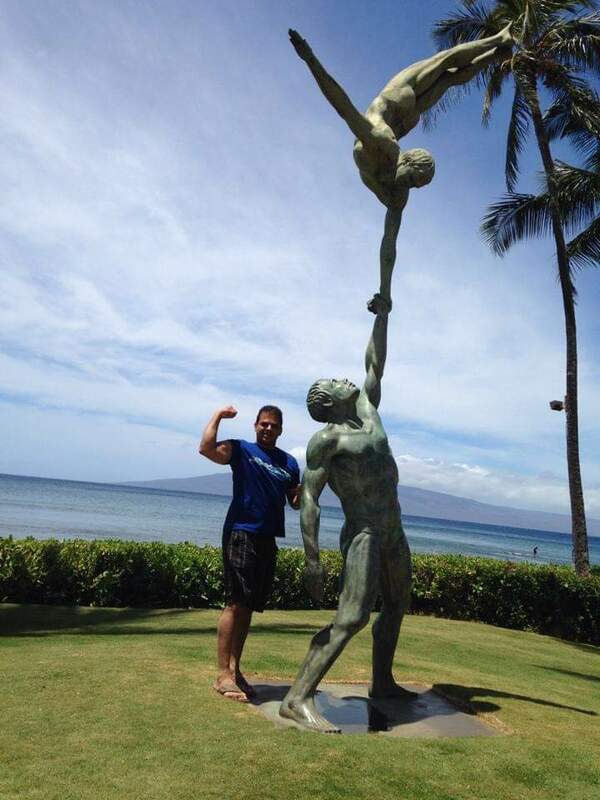 He has an extensive history with power lifting, sports (participating/coaching), and a general passion for fitness. Dale has trained an array of people - meeting individual needs and building programs to best suit you and your goals. He has helped clients achieve goals from preparing for hockey tryouts to passing RCMP fitness tests to overall fitness. He is personable, encouraging, easy to understand, and has the knowledge to help you achieve and retain your goals. If you are just starting out, not seeing results currently, bored of your old workout, or just need some more support attaining your goals - Dale is the trainer to get you on the right track. "Thank you for the two months of personal training that has changed not only my body, but my energy levels and overall well-being. With your assistance I lost 10 pounds and gained muscle, but I also want to let you know that my health has improved; my blood pressure levels have dropped so my medications have been reduced. My hands are stronger and the pain from the osteo-arthritis is not as severe. I feel proud of my accomplishments and know that I look better! I feel terrific and YOU are a great coach." "When I first went to Bodyworks I was 45 years old and 286 lbs. (Very out of shape) Dale set me up on a program, monitored my progress and now I'm holding 225 lbs and in the best shape I've ever been. The gym atmosphere is very friendly and supportive. Thank you Dale." "I started going to Bodyworks about 6 months ago, my goal was to get strong and loose some weight. I hired Dale as my personal trainer, he is professional, punctual and a very motivated person. Dale is committed to my workout for the time that I am there which I really appreciate. Not only is he completely knowledgeable on all aspects of weight training he explains everything that I will be doing during my session and why. Dale can also look at how each session is going and know immediately what part is getting too easy and he will quicklycorrect it. I am seeing great results which encourages me to stay committed to my work out. Even though the workouts are extremely hard I always leave the gym feeling wonderful and looking forward to my next session. I also really enjoy the facility itself, I am always greeted with a smile, it is spotlessly clean and extremely well run." Jim brings over 20 years of fitness background to Vancouver Island. Originally from the States, his travels have taken him from Rhode Island to New York City, Los Angeles, Vancouver, and finally settling here to further his passion of inspiring others through a fitness and nutrition mindset and how that is applied to everyday life to help clients realize their authentic selves. He is defined by one word: rowing. Fitness to Jim is a way of life… a mindset by which he governs all aspects of his day to day living. While nutrition is the fundamental foundation to everything he teaches, Jim is also dedicated to imparting knowledge and the skill required for success to his clients in and out of the gym.